After a fun educational visit to the Canadian National History Museum and admiring the beautiful horticulture exhibit at MosaïCanada, we checked in at Fairmont Le Chateau Montebello, the world's largest log castle! We love the architectural design of this resort. 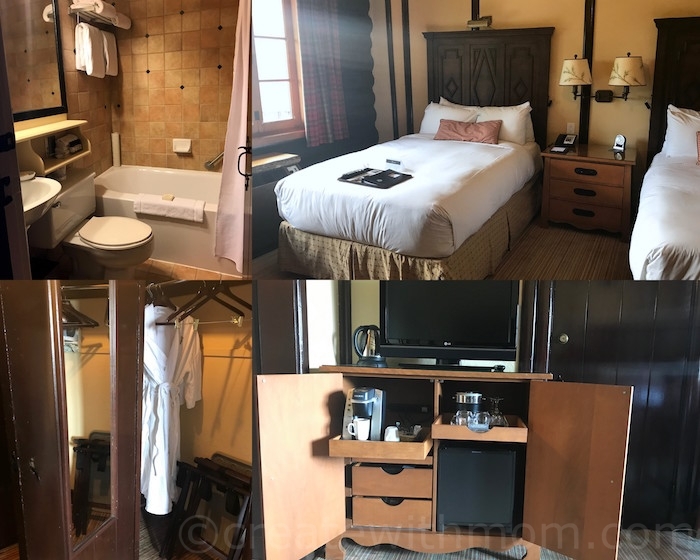 Everyone in our family had a pleasant stay, and found the atmosphere at the resort relaxing. We also enjoyed a variety of different sports and hiking. 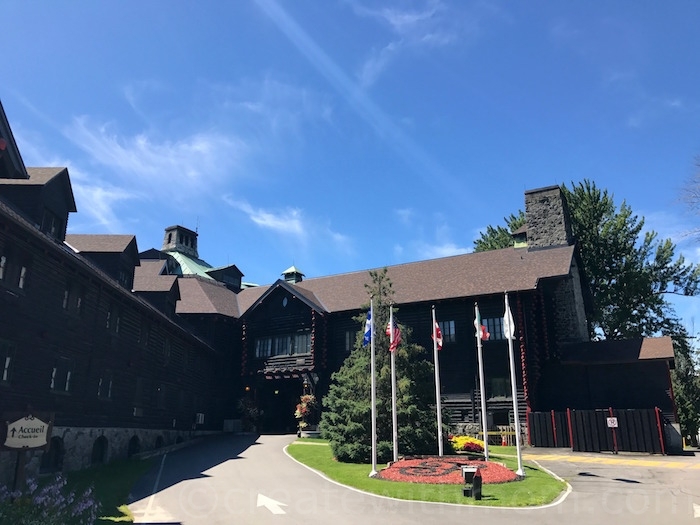 The exterior design with the red cedar logs, greenery, beautiful landscape, and the artistic background with the water and mountains at Fairmont Le Chateau Montebello makes it a unique resort. The interior design is also special. 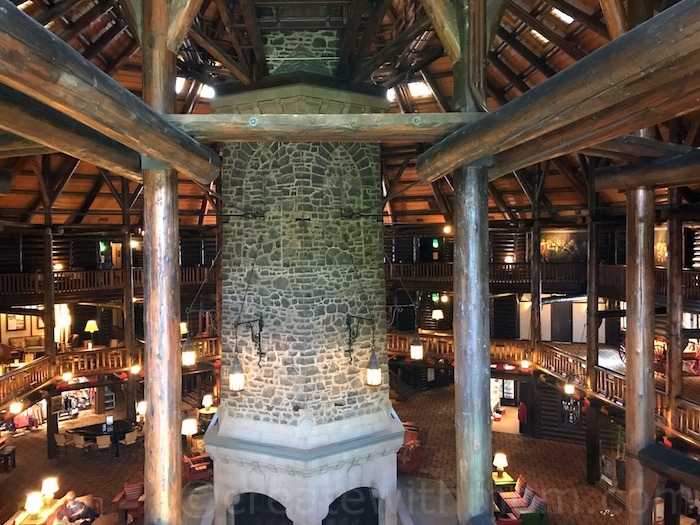 The resort has three floors and a basement, and four wings connecting to the main lobby. 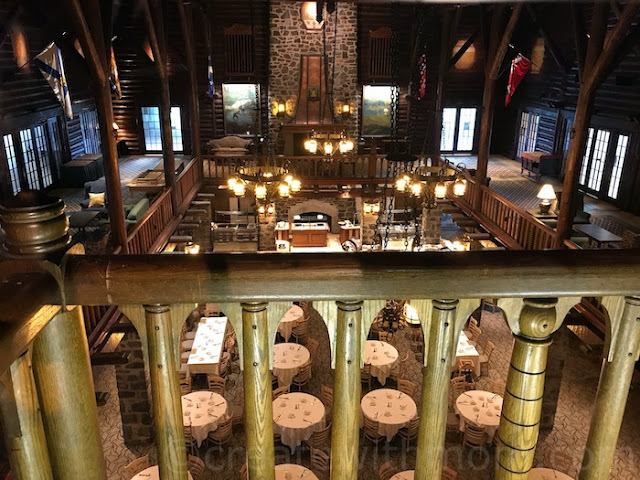 In the centre of the main lobby, there is a beautiful stone fireplace surrounded by plenty of seating. As we walked around the second floor, we were able to see photographs of famous people who had visited Fairmont Le Chateau Montebello and read its history. 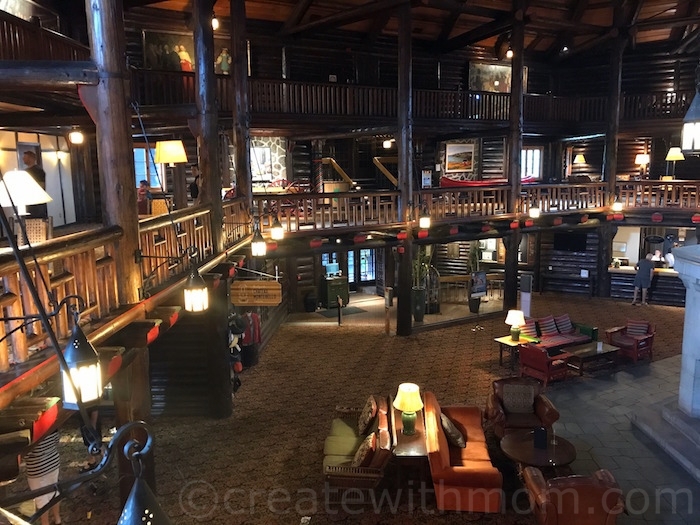 Even in the night, the main lobby with its lamps lit up makes the rustic design feel cozy and fun to be at. 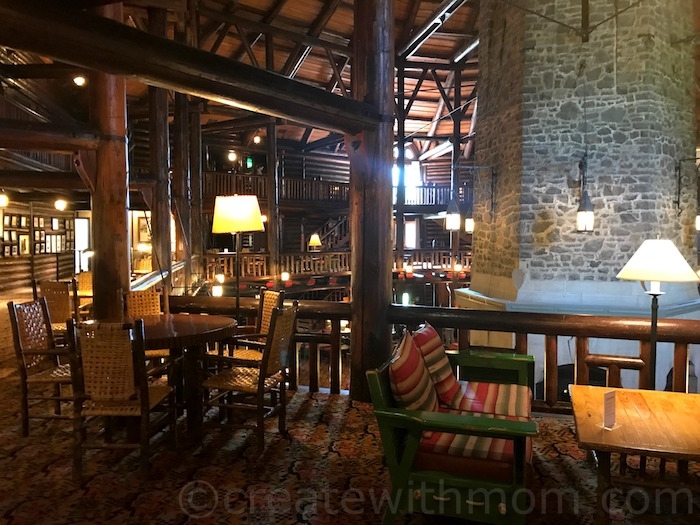 We liked that the décor of the rooms at Le Chateau Montebello carried on with the log cabin theme. The dark contrasting furniture, details of wood carving and the nature inspired painting is quite pleasant. We loved the view from the window and glad we can open the window for fresh air. We found the room comfortable for our stay. 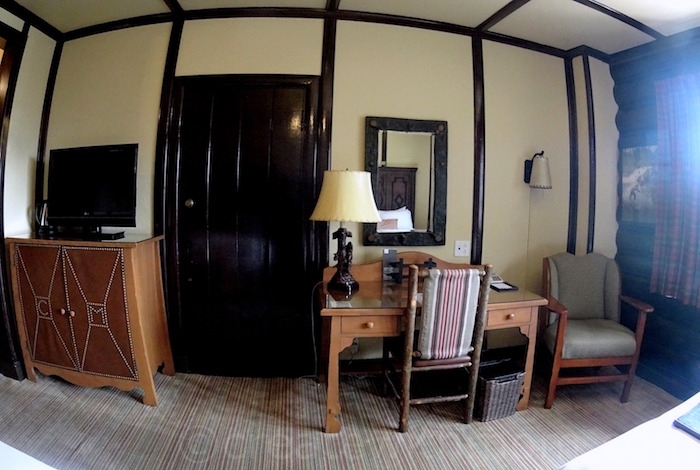 It has modern amenities including a mini-fridge, bathrobes, a safe, kettle, and Keurig coffee machine. The restaurant, Aux Chantignoles in the basement of the resort is open for breakfast, lunch and dinner. We enjoyed a delicious buffet continental breakfast at the restaurant. With the resort fee, families get access to do lots of activities within the resort. 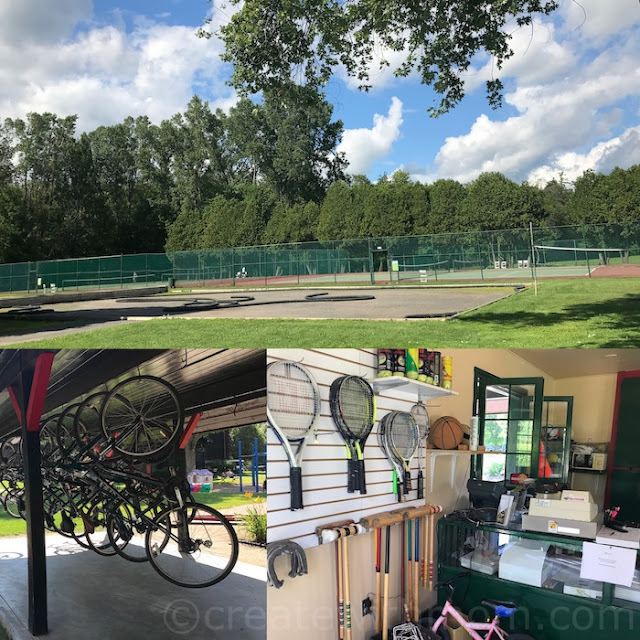 They have a lovely children’s park, mini-golf, bicycles, tennis, badminton, and many more sports. The resort has a large indoor and an outdoor pool. They also have water sports in another area to get kayaks, canoes, and more. 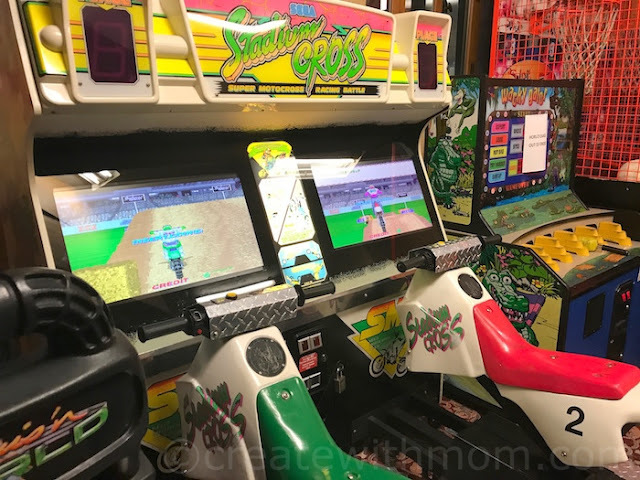 In the basement of the Fairmont Le Chateau Montebello, we can enjoy the coin-run arcade room, use the computer or catch a children's supervised movie or let young children play in the craft and toy room. 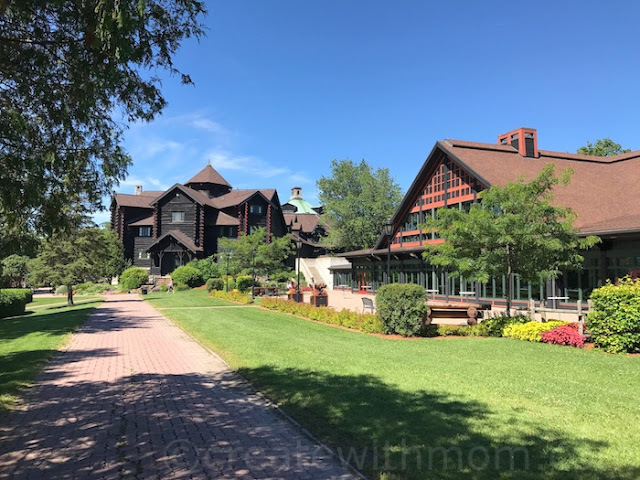 Fairmont Le Chateau Montebello resort is open all year around with a variety of different seasonal activities. We enjoyed hiking the trail that led us to Manoir Papineau, which is an historical site run by Parks Canada. This site gave us an in-depth knowledge of the area, the political figure Monsieur Papineau and how his contribution helped change Canada as we see it today to be an independent, democratic country. The knowledgeable Parks Canada staff give free guided tours at this location. 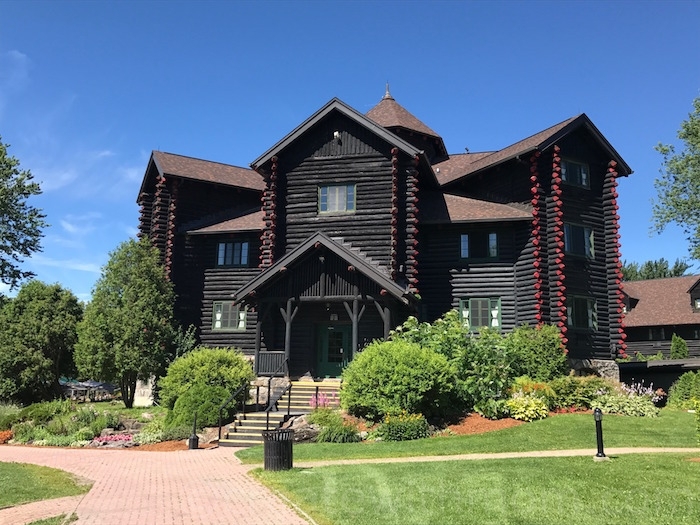 It is well-worth going on the tour and learning about the history of the Manoir, how it was built, about Monsieur Papineau and his family, life in the eighteen hundreds, and how this property is now part of Fairmont. There are no pictures allowed inside this 150 plus years old home. 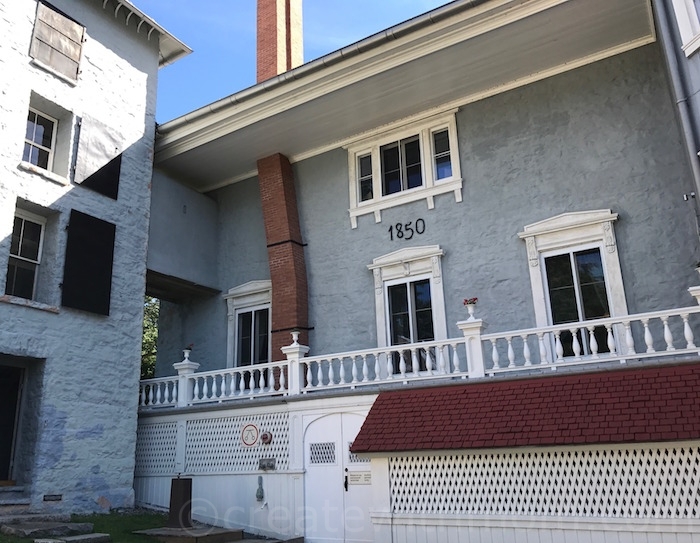 We can see the different architectural influences from Europe, America, and Quebec in the overall design of this home built by Monsieur Papineau in all its features from the picturesque towers, veranda, to the different rooms. 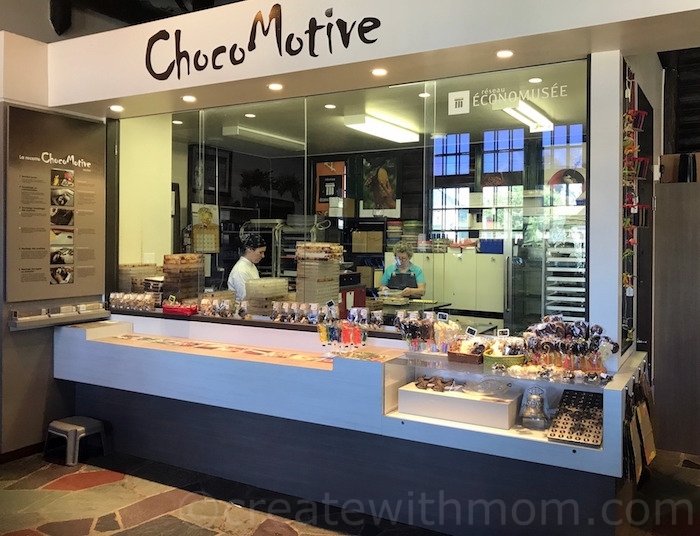 Just around the corner of the resort, we explored a couple of boutiques – ChocoMotive and l’Atelier de Lavandine before going to Parc Omega. It was interesting to see ChocoMotive, the chocolate factory in a train station setting built in 1931. This old Montebello train station was moved in 1989 to its current location. They use authentic techniques to make chocolate. 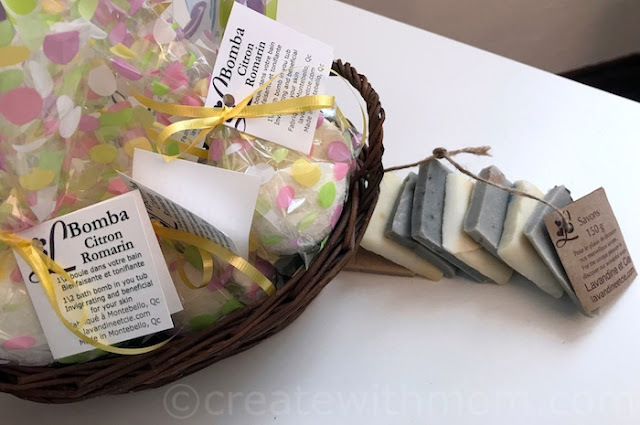 We enjoyed visiting l’Atelier de Lavandine, and speaking with the owner about the process of soap making using natural ingredients that is beneficial for our body. We love the Outaouais Region situated in the border of Ontario and Quebec - can't wait to return again to this beautiful region! Wow, how great is this place. 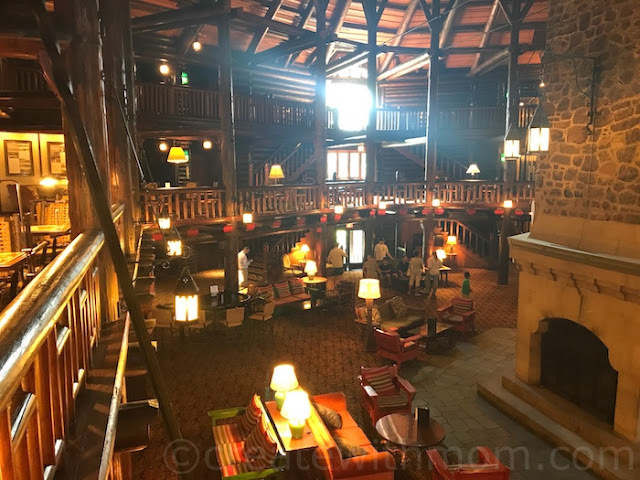 It is such a beautiful lodge. I love the old beams. Oh wow such a beautiful place, it would be an awesome place to unwind and just to get away! Wow what a nice looking place! Gorgeous buildings! I love that they have things for the kids to do.